Lomé, 31 July 2018. 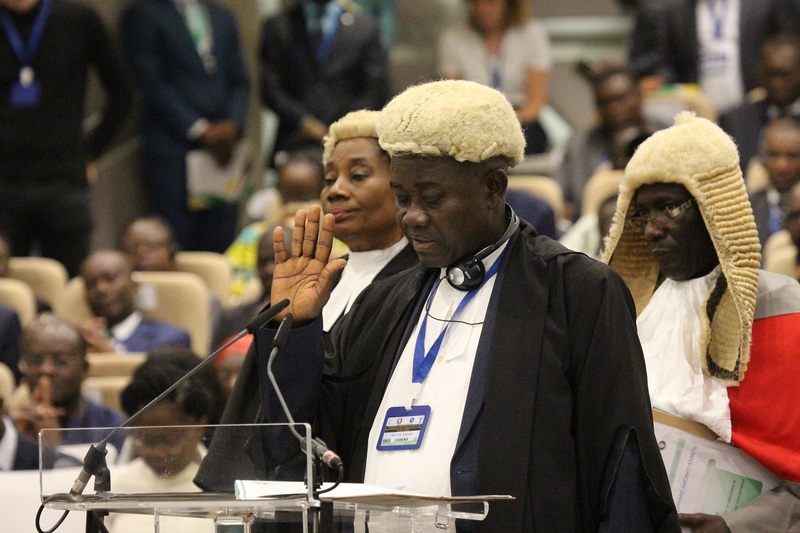 The 53rd ordinary session of the Heads of State and Government of the Economic Community of West African States (ECOWAS), held on Monday 31 July 2018, in Lomé, Togo, featured the swearing-in of the President of the Commission of the regional organisation, the Ivorian Jean-Claude Kassi Brou. 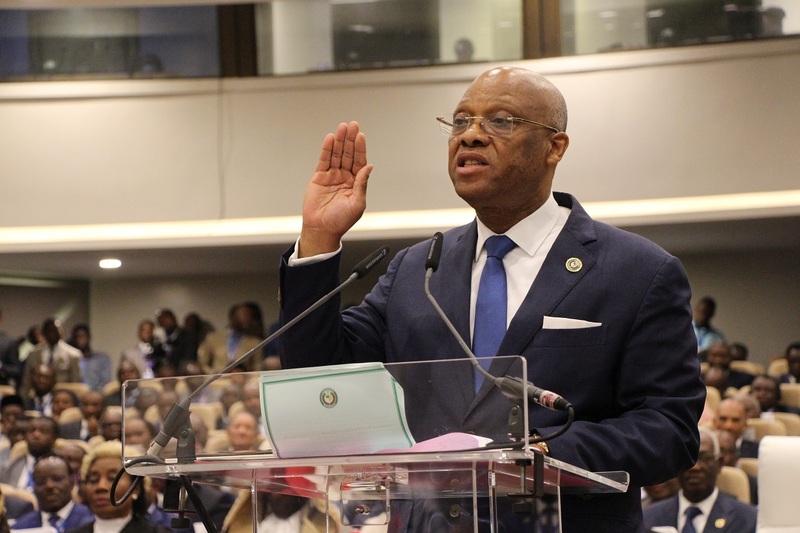 It was before a gathering of West African leaders, including 13 of the 15 ECOWAS Heads of State, that Mr Brou was officially sworn-in as Head of ECOWAS Executive Body. 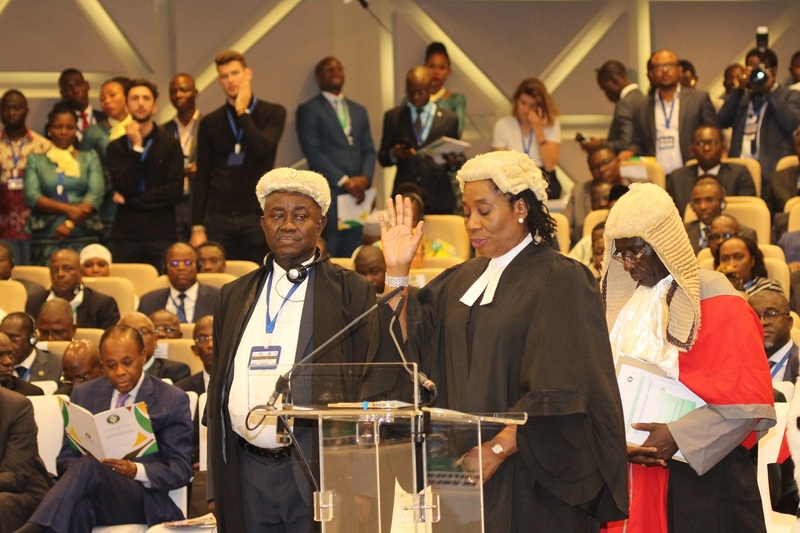 Following the rendition of the ECOWAS Anthem by a children’s choir, the Togolese Head of State and ECOWAS Chairman, Faure Essozimna Gnassingbé, invited the President of the Community Court of Justice, the Honourable Judge Jérôme Traoré, to swear-in the President of the Commission. Prior to the swearing-in, he requested the Chair of the ECOWAS Council of Ministers, Togo’s Minister of Foreign Affairs, Cooperation and African Integration, Prof Robert Dussey, to recall the legal act appointing the President of the Commission, and to formally introduce him to the Authority of Heads of State and Government. After reading the appointing decision and a brief summary of Mr Brou’s biography, Robert Dussey then invited the Chairman of the Authority to ask the President of the Community Court of Justice to administer the oath to Mr Brou. Dressed in a blue suit, a white shirt and a sky blue tie, the new Commission President, standing in front of Judge Jérôme Traoré and the leaders, with his right hand raised, declared: “I, Jean-Claude Kassi Brou, swear to loyally and faithfully serve the Economic Community of West African States in my capacity as President of the ECOWAS Commission,… neither seek nor take instructions from any government or other authority outside the Community in the discharge of my duties”. 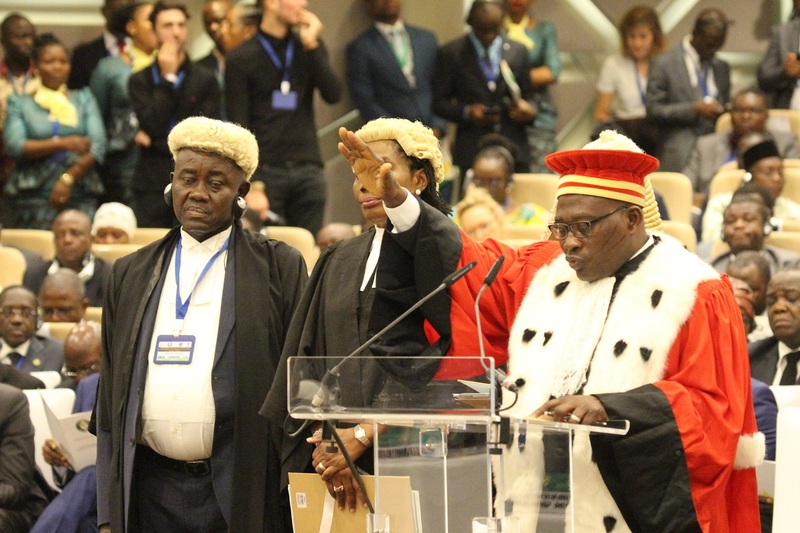 Following the declaration, the President of the Court of Justice gave the floor back to the Chairman of the Authority of Heads of State and Government to receive the oath of office of Jean-Claude Kassi Brou. President Faure Essozimna Gnassingbé closed the ceremony with the words: “Mr President of the ECOWAS Commission, your oath is received and accepted. Go forth and discharge your duties in accordance with your oath. This act shall be recorded in minutes for use when necessary”. After the ceremony, Mr Brou signed the acts of his swearing-in before delivering his address in which he expressed his gratitude to ECOWAS Heads of State and Government for accepting his appointment, in particular the Ivorian President, Alassane Ouattara. Until his appointment as ECOWAS Commission President by West African leaders at their 52nd ordinary session held on 16 December 2017 in Abuja, Nigeria, Jean-Claude Kassi Brou was Cote d’Ivoire’s Minister of Industry and Mines since October 2012. Prior to that, he served as Economic and Financial Advisor to the Prime Minister of Cote d’Ivoire from 1991 to 1995. In 1996, he was appointed Chief of Staff to the Prime Minister, a position he held until 1999. During that period and along with his duties, he chaired the country’s Privatisation Committee. Jean-Claude Kassi Brou also spent eight years at the Central Bank of West African States (BCEAO). He successively held the positions of Director of International Relations and Director of Studies until 2005. He subsequently headed the Economic Studies and Currency Department, before being appointed Special Advisor and Comptroller-General from 2007 to 2008. 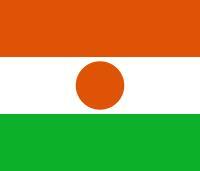 He was also the World Bank Resident Representative for Chad from 2010 to 2012. Mr Brou holds a PhD in Economics, an MBA in Finance from the University of Cincinnati, Ohio, USA, and a Master’s degree from the National University of Cote d’Ivoire. He is fluent in French and English, and speaks Portuguese and Spanish. Jean-Claude Kassi Brou is married with two children. 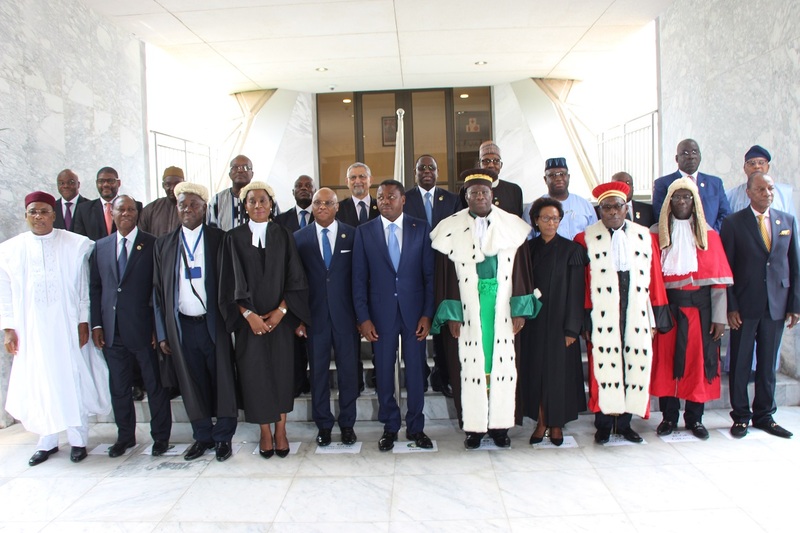 In addition to the President of the Commission, five new Judges of the ECOWAS Court of Justice were also sworn-in. They are Cabo Verde’s Januaria Tavares Silva Moreira Costa, Nigeria’s Dupe Atoki, Cote d’Ivoire’s Gberi-Be Ouattara, Ghana’s Edward Amoako Asante, and Sierra Leone’s Kekura Bangura. They are appointed for a non-renewable term of four years, effective the date of their swearing-in before the Chairman of the Authority, this 31st day of July 2018.